Need literacy stations to keep your kids reviewing their dolch sight words? 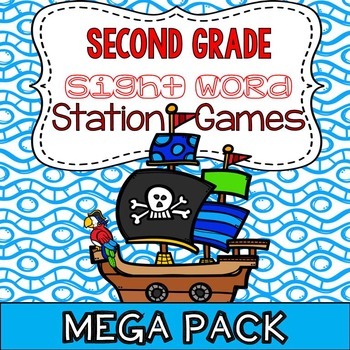 I have compiled many games in this pack, all ready for your literacy stations! I am super excited about what you'll find here. You'll find several fun sight word games that my kids love to do and I know yours will also! All of these games focus on the second grade sight words of the dolch sight word list. 1. Roll, Say, and Keep - Students take turns rolling a die. Depending on the number they roll, the student will turn the card over of the square with the corresponding die on the board. Student must then read the word correctly. If they read it correctly, they “win” the card and must then fill the empty square with a card from the stack. The player with the most cards wins the game. 2. 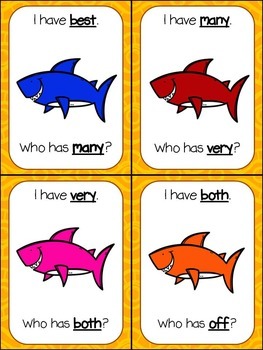 I have...who has - I have created 2 sets of I have, who has cards. This is a kid favorite. This game can be played in a whole group or as a station once the students have practiced playing with you and understand the rules of the game. 3. Memory Game - Students are looking to make a match. Student with the most matching pairs, wins the game. 4. Where's the treasure! - The objective of the game is to find the lamb that is hiding behind one of the cards. To check the cards, the student take turns reading the sight words. 5. Roll, Read, and Color - This is a printable, played with a partner or individually. Students take turns rolling the die. Depending on the number they roll, the student has to read the word under that column in order to color their square. The objective is to fill in the most squares as possible. 6. Stamp it out! - This is also another printable. 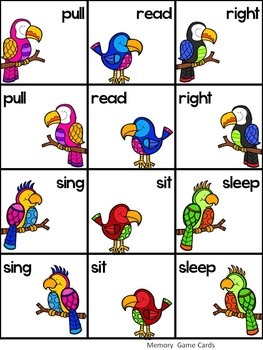 Here students will practice writing their sight words in various ways. 7. Sight Word Bump - Students practice reading their sight words to bump each other off the game boards. 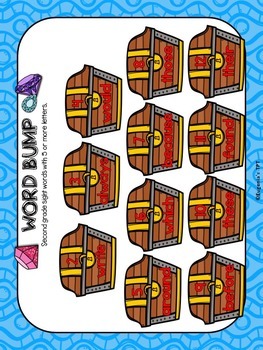 I am providing you with 4 different game boards for Sight Words Bump! 8. X Marks the Spot. Get there first! Here you will find 2 game boards ready to go! Students take turns rolling the die and move along the game board by reading their sight words. The first one to make it to the finish, wins! With students focused on participating in their sight word station you'll be free to pull your guided reading groups. Thanks for your interest. Please click on the preview to get an idea of what this awesome product looks like!!! Want to earn free stuff? •You can earn TpT credits by providing feedback on your purchased resources. Go to your "My Purchases" page. Here you will see a "Provide Feedback" button. Click, Rate, Comment, Earn. •Be sure you are following the store to be the first to find out about sales, flash freebies, discounts and great new products. Click "follow me" next to the green star.